Discover the many influences of impressionism in this concert presented in partnership with the Baltimore Museum of Art. 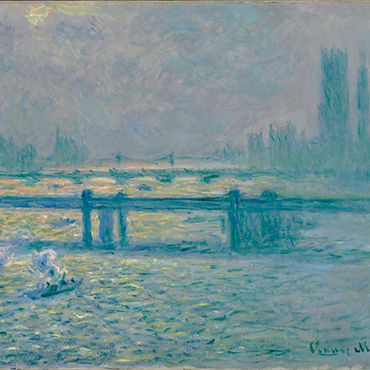 Music Director Marin Alsop and the BMA’s Senior Curator of European Painting and Sculpture Katy Rothkopf explore the world of brush strokes, colors and orchestration as masterworks by Debussy and Ravel are performed along with projections of timeless art by Cézanne, Monet and Degas. Join us after the performance Q&A session with Marin Alsop and Katy Rothkopf. *The Saturday, January 13 performance will be followed by a 'Ravel on the Rocks' after-party featuring live music from Orchester Prazevica, food specials from Dooby's and $6 gin specials!